But there are those who seek to stop the oppressive spread of the Talisman. 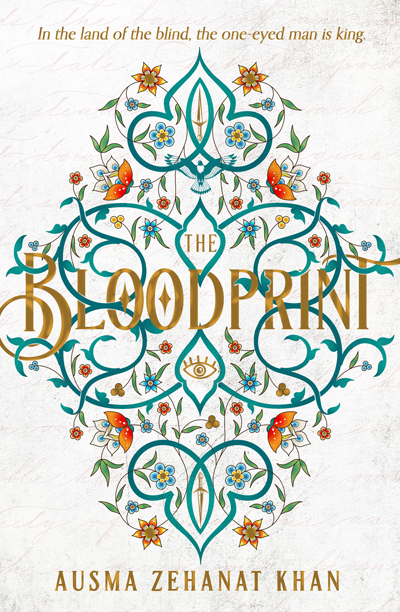 A resistance formed of the Companions of Hira – a group of rebels versed in the power of ancient scripture, a magic known as the Claim – believe they have discovered the key to destroying the One-Eyed Preacher and his fervid followers: The Bloodprint. Formerly, she served as Editor in Chief of Muslim Girl magazine. The first magazine to address a target audience of young Muslim women, Muslim Girl re-shaped the conversation about Muslim women in North America. The magazine was the subject of two documentaries, and hundreds of national and international profiles and interviews, including CNN International, Current TV, and Al Jazeera “Everywoman”.